Priming is a manner in which exposure to early information influences the behavior of an individual later on, without them being aware of it. 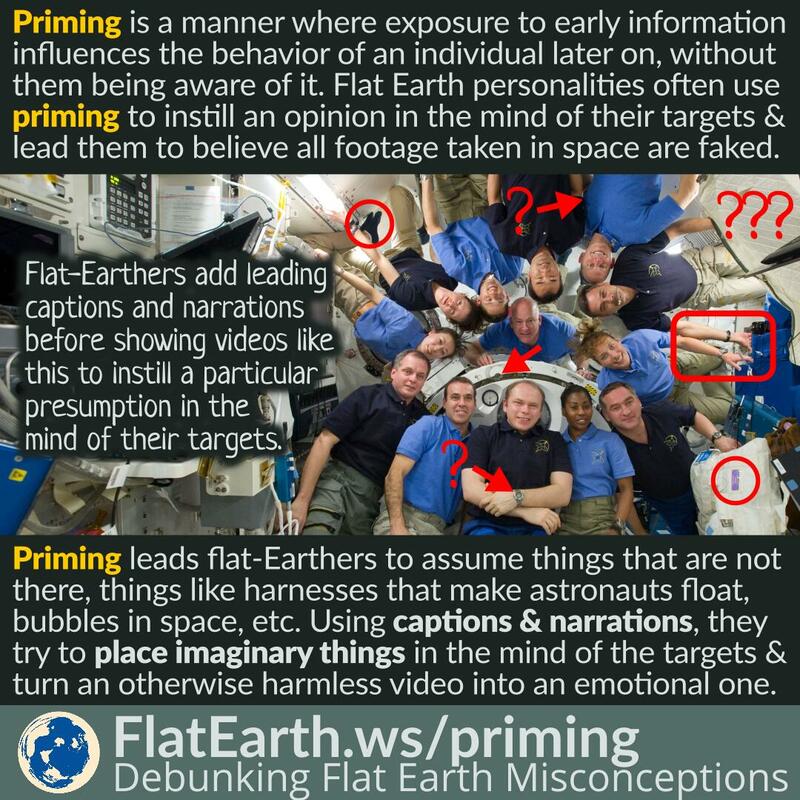 Flat Earth personalities employ this technique to instill specific biases and opinions in the mind of their targets, and for example, to lead them to believe all footage taken in space were faked. The problem is that there are people who visited Antarctica, and their information about Antarctica does not fit the flat Earth narration. To ‘deal with the problem,’ they invented conspiracy theory and assumed every person who claimed to have visited Antarctica is a part of the grand conspiracy; and they spread the information to deceive us. This way, flat-Earthers’ narration about Antarctica is no longer falsifiable. If something stands against them, their ‘solution’ is merely to add more people to the list of persons that are part of the grand conspiracy. 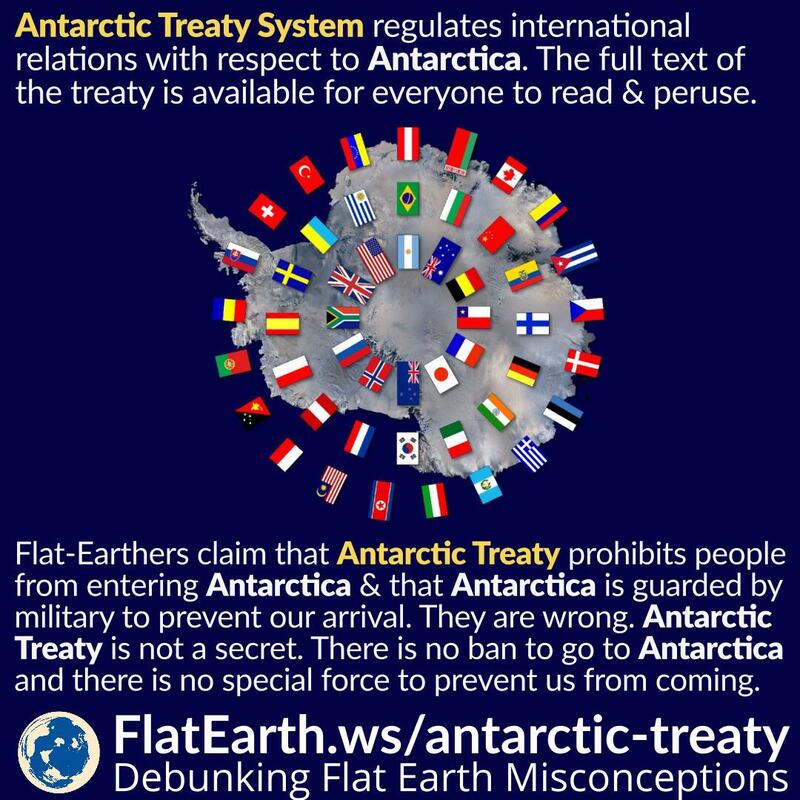 The existence of the Antarctic Treaty System is convenient. Flat-Earthers use it to support their narration. 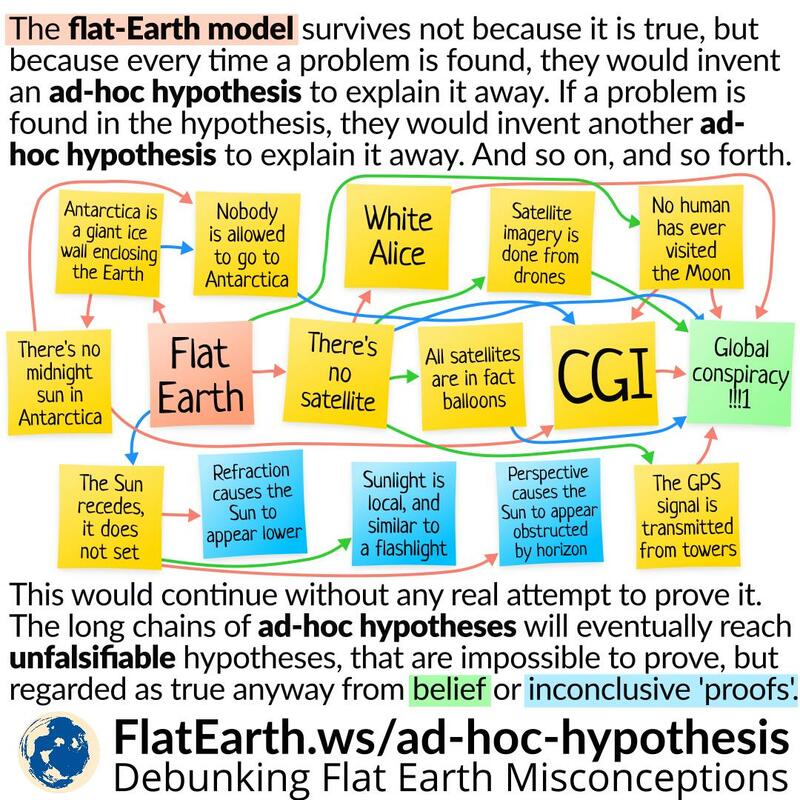 The flat-Earth model survives not because the Earth is flat, but because every time a problem is found, its proponents would quickly invent an ad-hoc hypothesis to explain the problem away. In turn, if they discover another problem in one of these ad-hoc hypotheses, they would be happy to invent another ad-hoc hypothesis to explain the problem away. And so on, and so forth. These ad-hoc hypotheses are there to save their core belief —that the Earth is flat— from being falsified. 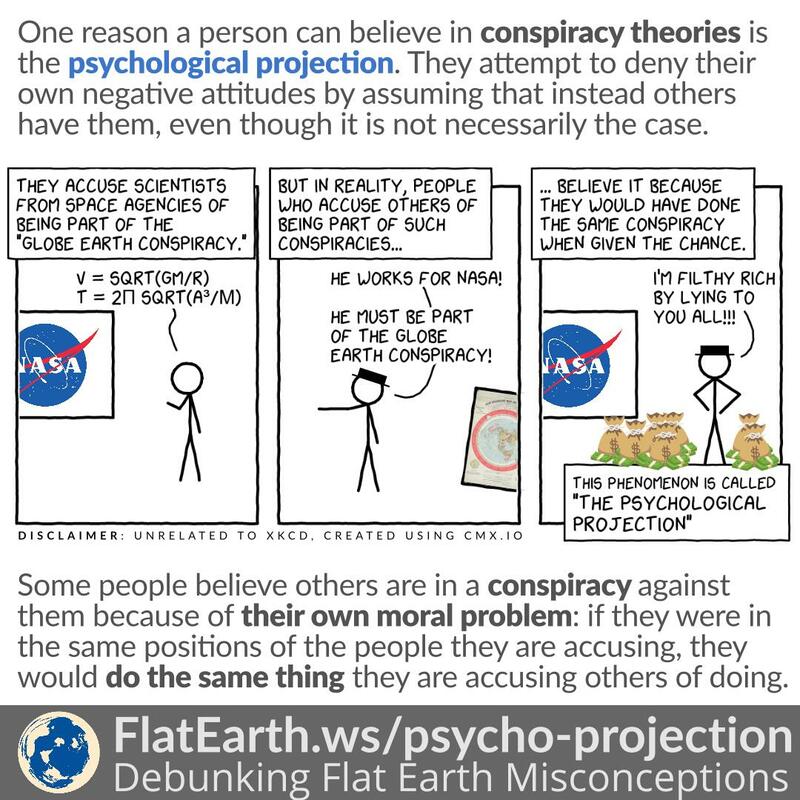 Some flat-Earthers use the so-called global conspiracy as an ‘escape hatch’ in order to abandon a losing argument without having to appear to lose face. In reality, the global conspiracy theory itself is simply their own invention. Why do we believe in conspiracy theories? According to research, one reason is the so-called ‘psychological projection’. ‘Psychological projection’ is a phenomenon where someone denies their attitude or traits and assumes instead that others are doing so. They see their negative qualities in others, even when the negative characteristics are not present in the others being accused.